You can call 614-321-YUMM(9866) or email kelscakery@gmail.com to place your order. To give an accurate quote, I will need to know the date of the event, the approximate amount of servings needed, and desired theme. If emailing, you can include a picture if applicable and include any adjustments you’d like to make. As much as possible, please! Two weeks is the bare minimum. Weddings are typically booked 4-6 months ahead of time, and a wedding will consume my entire weekend, so please plan ahead! No, but I do deliver in the central Ohio area. Delivery is an additional fee and the address of the event is required for calculation of the fee. Do you offer sheet cakes to help lower the cost of my wedding cake? All forms of payment are accepted. However, cash and check are preferred. I ask that you order a dozen or more. Do you have a storefront? Can I stop by and pick up some cupcakes? No, I work out of my home and I exclusively do custom orders. How long have you been doing cakes? I started doing cakes in 2006. I began taking the Wilton cake decorating classes offered by Michael’s, then attended the Columbus Culinary Institute, graduating in 2008. I completed my externship as a pastry chef at a Hyatt hotel and then decorated cakes and managed a local Columbus bakery for 3 and a half years. 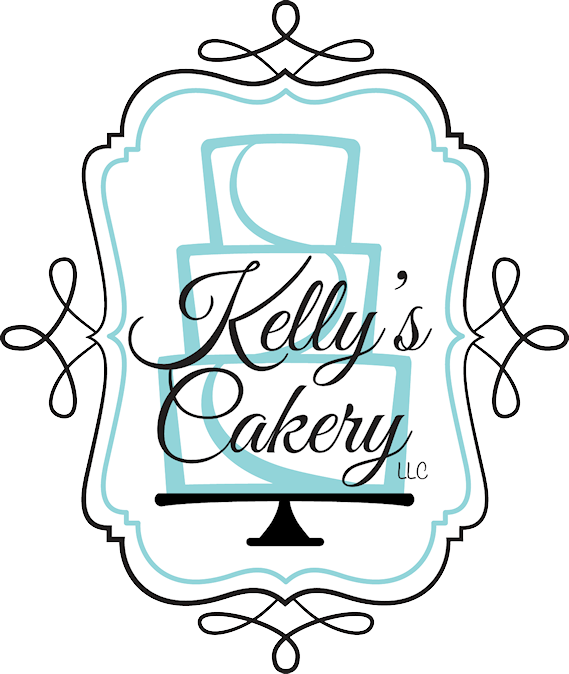 I started up Kelly's Cakery LLC in September of 2012.